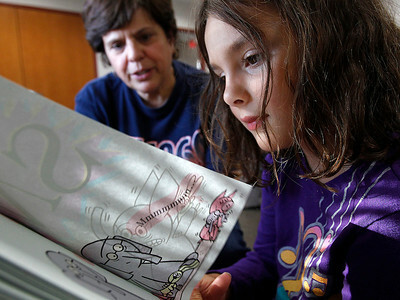 Matthew Apgar - mapgar@shawmedia.com Volunteer Fran Vergo, left, helps Sophia Panagakis, 6, both of Huntley, read from a selection of books at the Huntley Area Public Library on Tuesday, Oct. 06, 2015 in Huntley. 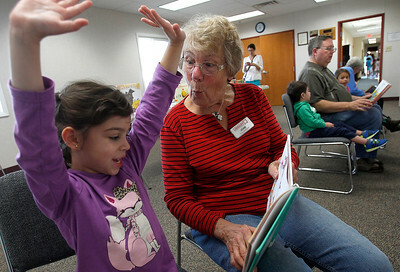 Matthew Apgar - mapgar@shawmedia.com Volunteer Joan Gizzi of Huntley held read to Arianna Amador of Algonquin, 5, at the Huntley Area Public Library on Tuesday, Oct. 06, 2015 in Huntley. 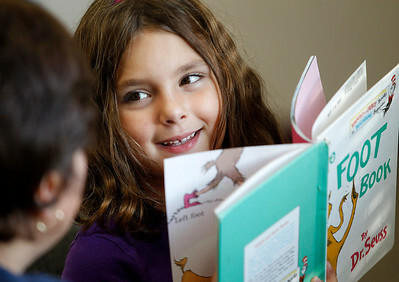 Matthew Apgar - mapgar@shawmedia.com Volunteer Katy Spooner helps Meya Soto, 8, both of Huntley, read from a selection of books at the Huntley Area Public Library on Tuesday, Oct. 06, 2015 in Huntley. 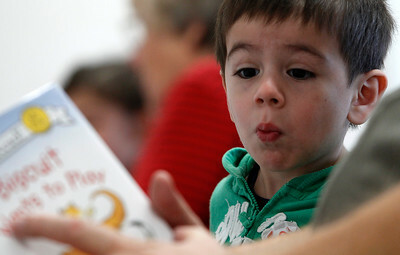 Matthew Apgar - mapgar@shawmedia.com George Amador of Algonquin, 2, makes a face as he listens to a book being read to him at the Huntley Area Public Library on Tuesday, Oct. 06, 2015 in Huntley. 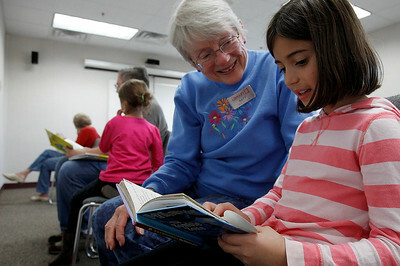 Matthew Apgar - mapgar@shawmedia.com Volunteer Katy Spooner helps Meya Soto, 8, both of Huntley, read at the Huntley Area Public Library on Tuesday, Oct. 06, 2015 in Huntley. 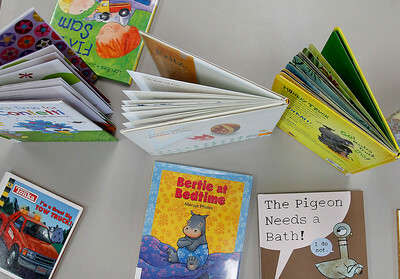 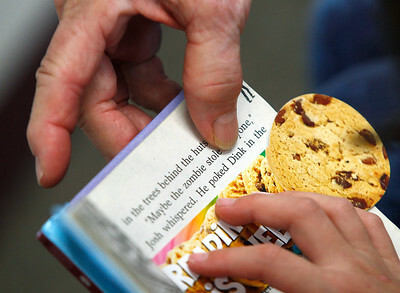 Matthew Apgar - mapgar@shawmedia.com A selection of children's books are displayed on a table as they wait to be read by children and volunteers at the Huntley Area Public Library on Tuesday, Oct. 06, 2015 in Huntley. 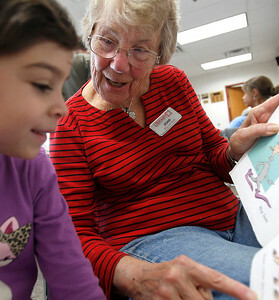 Volunteer Joan Gizzi of Huntley held read to Arianna Amador of Algonquin, 5, at the Huntley Area Public Library on Tuesday, Oct. 06, 2015 in Huntley.